This week’s issue of Biomaterials Science is our 2019 Emerging Investigators issue, which contains reviews and research articles from biomaterials scientists in the early stages of their independent careers. The 2019 Biomaterials Science Emerging Investigators were individually nominated by members of the journal Editorial and Advisory Boards, and previous Emerging Investigators, in recognition of their potential to influence future directions in the biomaterials field. The issue is accompanied by an Editorial from Editor-in-Chief Jennifer Elisseeff, which discusses some of the great work on display, and contains biographies and photos of the contributors. In order to celebrate this issue, we are delighted to feature a profile of one of the researchers from our 2017 Emerging Investigators issue, Matt Webber. Matt talks below about how his research has progressed since being featured as a Biomaterials Science Emerging Investigator. Matthew J. Webber is an Assistant Professor in the Department of Chemical & Biomolecular Engineering at the University of Notre Dame, with a concurrent appointment in the Department of Chemistry and Biochemistry. His research group is interested in applying supramolecular principles, leveraging defined and rationally designed non-covalent interactions, to improve therapeutic materials. He is specifically curious about the use of supramolecular design to overcome barriers in drug delivery and improve biomedical materials. Prof. Webber received a BS in Chemical Engineering from the University of Notre Dame, and MS and PhD degrees in Biomedical Engineering from Northwestern University. His dissertation, performed in the laboratory of Prof. Samuel Stupp, focused on the use supramolecular peptide assemblies for cardiovascular disease therapeutics. Subsequently, he was an NIH NRSA postdoctoral fellow in the laboratories of Prof. Robert Langer and Prof. Daniel Anderson at MIT, working on the development of new molecular engineering approaches toward the treatment of diabetes. His research passion is to contribute to bringing the field of Supramolecular Therapeutics into prominence. He has authored 56 peer-reviewed papers and is inventor on 7 pending or awarded patents. In 2017, he was named by Biomaterials Science as an Emerging Investigator and by the American Institute of Chemical Engineers (AIChE) as one of the “35 under 35” young leaders shaping the field. Matt’s papers will be free to access on our publishing platform for 6 weeks. We hope you enjoy reading all the contributions to our 2019 Emerging Investigators collection, and we thank all the nominators and authors for their input. Do you know an early-career researcher who deserves recognition for their contribution to the biomaterials field? Now is your chance to put them forward for the accolade they deserve! Biomaterials Science is pleased to announce that nominations are now being accepted for its 2019 Lectureship award. This annual award was established in 2014 to honour an early-stage career scientist who has made a significant contribution to the biomaterials field. 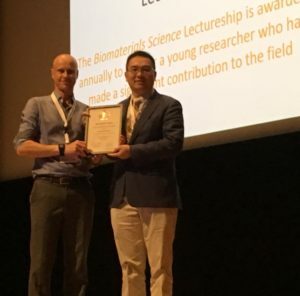 The recipient of the award will be asked to present a lecture at the 2019 European Society for Biomaterials Annual Meeting, where they will also be presented with the award. The Biomaterials Science Editorial Office will provide financial support to the recipient for travel and accommodation costs. The recipient will also be asked to contribute a lead article to the journal and will have their work showcased free of charge on the front cover of the issue in which their article is published. Although the Biomaterials Science Lectureship doesn’t explicitly reward support of or contributions to the journal, candidates with no history of either publishing in or refereeing for the journal would typically not be considered. Eligible nominated candidates will be notified of their nomination, and will be asked to provide 3 recent articles that they feel represent their current research. All eligible nominated candidates will be assessed by a shortlisting panel, made up of members of the Biomaterials Science Advisory Board and a previous lectureship winner. The shortlisting panel will consider the articles provided by the candidates as well as their CVs and letters of nomination. Shortlisted candidates will be further assessed by the Biomaterials Science Editorial Board, and a winner will be selected based on an anonymous poll. Selection is not based simply on quantitative measures. Consideration will be given to all information provided in the letter of recommendation and candidate CV, including research achievements and originality, contributions to the biomaterials community, innovation, collaborations and teamwork, publication history, and engagement with Biomaterials Science. As part of the Royal Society of Chemistry, we believe we have a responsibility to promote inclusivity and accessibility in order to improve diversity. Where possible, we encourage each nominator to consider nominating candidates of all genders, races, and backgrounds. Nominations should be submitted no later than 19th December 2018. The Biomaterials Science Lectureship is an annual award that honours an early-career researcher for their significant contribution to the biomaterials field. The recipient is selected by the Biomaterials Science Editorial Board from a list of candidates nominated by the community. This year we are delighted to award the Lectureship to Professor Zhen Gu (University of North Carolina at Chapel Hill and North Carolina State University). He will present the Biomaterials Science lecture and receive his award at the European Society for Biomaterials Annual Meeting in Maastricht in September 2018. 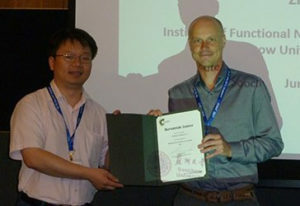 Prof. Zhen Gu received his B.S. degree in Chemistry and M.S. degree in Polymer Chemistry and Physics from Nanjing University. In 2010, he obtained Ph.D. at the University of California, Los Angeles, under the guidance of Prof. Yi Tang in the Department of Chemical and Biomolecular Engineering. He was a Postdoctoral Associate working with Profs. Robert Langer and Daniel Anderson at MIT and Harvard Medical School during 2010 to 2012. 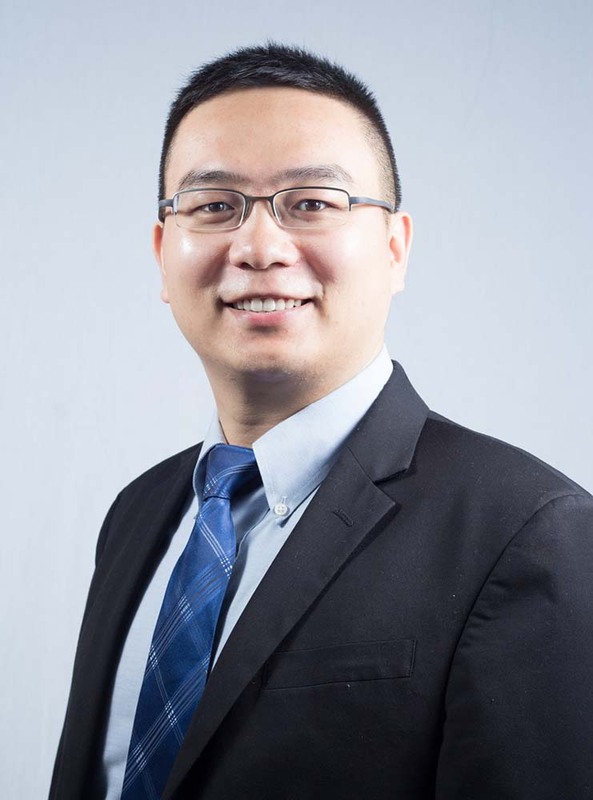 Prof. Zhen Gu is the recipient of the Young Investigator Award of the Controlled Release Society (CRS, 2017), Sloan Research Fellowship (2016), Pathway Award of the American Diabetes Association (ADA, 2015) and Young Innovator Award in Cellular and Molecular Engineering of the Biomedical Engineering Society (BMES, 2015). MIT Technology Review listed him in 2015 as one of the global top innovators under the age of 35 (TR35). His group studies controlled drug delivery, bio-inspired materials and nanobiotechnology, especially for cancer and diabetes treatment. Please join us in congratulating Zhen on his award! 2018 Biomaterials Science Lectureship is now open for nominations! Now is your chance to put them forward for the accolade they deserve. Biomaterials Science is pleased to announce that nominations are now being accepted for its 2018 Lectureship award. This annual award was established in 2014 to honour an early-stage career scientist who has made a significant contribution to the biomaterials field. To be eligible for the Biomaterials Science Lectureship, the candidate should be in the earlier stages of their scientific career, typically within 7 years of attaining their first independent research position, and will have made a significant contribution to the field. The recipient of the award will be asked to present a lecture at the European Society for Biomaterials Annual Meeting in Maastricht in September 2018, where they will also be presented with the award. The Biomaterials Science Editorial Office will provide financial support to the recipient for travel and accommodation costs. The recipient of the award will be selected and endorsed by the Biomaterials Science Editorial Board. Those wishing to make a nomination should send details of the nominee, including a brief C.V. and a letter supporting the nomination, to the Biomaterials Science Editorial Office by 28th February 2018. Self-nomination is not permitted. 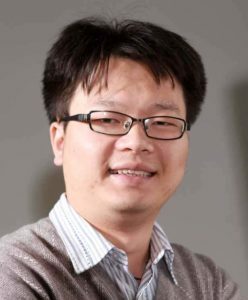 It is with great pleasure that we announce Prof. Zhuang Liu (Soochow University, China) as the recipient of the 2017 Biomaterials Science Lectureship. Zhuang Liu obtained his PhD in Chemistry at Stanford University in 2008 after completing a Bachelor’s Degree at Peking University in 2004. He remained another year at Stanford University for a postdoctoral fellowship, before becoming a Professor at the Institute of Functional Nano & Soft Material (FUNSOM), in Soochow University, China in 2009. 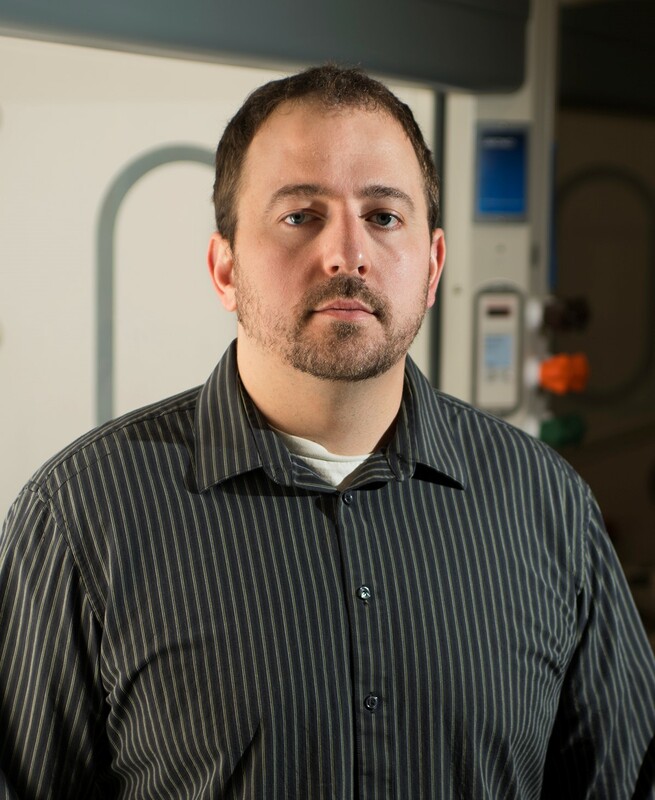 His current research interests focus on the development of various synthetic functional nanomaterials as well as natural biomaterials for applications in biomedical imaging, drug delivery, and novel cancer therapies. Since 2005, Dr. Liu has authored over 255 peer-reviewed papers, which have been cited over 27,000 times. He was listed as one of the ‘Most Cited Chinese Researchers (Materials Science)’ by Elsevier in 2014 and 2015, and one of the ‘Highly Cited Researchers 2015 (Chemistry, Materials)’ by Thomson Reuters. He received the NSFC distinguished young scholar award in 2015. We would like to thank everybody who nominated a candidate for the Lectureship; we received many excellent nominations, and the Editorial Board had a difficult task in choosing between some outstanding candidates. Please join us in congratulating Zhuang on his award! 2017 Biomaterials Science Lectureship is now open! Biomaterials Science is pleased to announce that nominations are now being accepted for its 2017 Lectureship award. This annual award was established in 2014 to honour an early-stage career scientist who has made a significant contribution to the biomaterials field. The recipient of the award will be asked to present a lecture three times, one of which will be located in the home country of the recipient. The Biomaterials Science Editorial Office will provide the sum of £1000 to the recipient for travel and accommodation costs. The recipient will be presented with the award at one of the three award lectures. They will also be asked to contribute a lead article to the journal and will have their work showcased on the back cover of the issue in which their article is published. Those wishing to make a nomination should send details of the nominee, including a brief C.V. (no longer than 2 pages A4) together with a letter (no longer than 2 pages A4) supporting the nomination, to the Biomaterials Science Editorial Office by 27th January 2017. Self-nomination is not permitted. 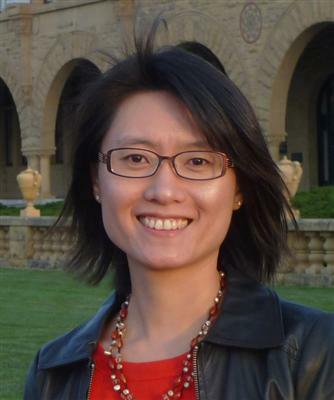 We are delighted to announce Assistant Professor Fan Yang (Stanford University) as the 2016 Biomaterials Science Lectureship winner. The Biomaterials Science Lectureship is an annual award that honours an early-stage career researcher for their significant contribution to the biomaterials field. The recipient is selected by the Biomaterials Science Editorial Board from a list of candidates nominated by the community. Fan Yang is currently an Assistant Professor at Stanford University in the Departments of Orthopaedic Surgery and Bioengineering, and Director of Stanford Stem Cells and Biomaterials Engineering Laboratory. Her research seeks to understand how microenvironmental cues regulate stem cell fate, and to develop novel biomaterials and cell-based therapeutics for tissue regeneration, with special focus on treating musculoskeletal diseases, cardiovascular diseases and cancer. Prior to joining Stanford, Dr. Yang received her Ph.D. in Biomedical Engineering from Prof. Jennifer Elisseeff’s lab at Johns Hopkins University, and then completed a postdoctoral fellowship in the laboratory of Prof. Robert Langer at MIT. In recognition of her innovation, she was selected to be one of 2011 TR35 Global list honorees by Technology Review, which recognizes the world’s 35 most outstanding innovators who are younger than 35. 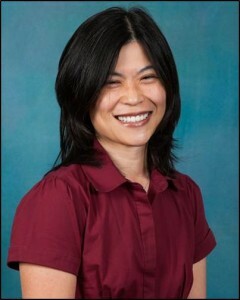 Dr. Yang has also been recognized by multiple awards from both federal agencies and private foundations including the NSF CAREER Award, the NIH R01 award, Tools and Technologies Development Award from California Institute of Regenerative Medicine, Young Investigator Award from Alliance for Cancer and Gene Therapy, National Scientist Development Award from American Heart Association, Rising Star award from BMES-CMBE, Mission for Learning Faculty Scholar Award in Pediatric Translational Medicine, Donald E. and Delia B. Baxter Faculty Scholar Award, the McCormick Faculty Award, Stanford Asian American Faculty Award, the 3M Nonteured Faculty Award and the Basil O’Connor Starter Scholar Research Award. Keep your eyes peeled for Fan’s upcoming Biomaterials Science article in honour of the Lectureship award. Please join us in congratulating Fan in her fantastic achievements by adding your comments below. 2016 Biomaterials Science Lectureship now open! Biomaterials Science is pleased to announce that nominations are now being accepted for its Biomaterials Science Lectureship 2016. This annual award was established in 2014 to honour an early-stage career scientist who has made a significant contribution to the biomaterials field. Those wishing to make a nomination should send details of the nominee, including a brief C.V. (no longer than 2 pages A4) together with a letter (no longer than 1 page A4) supporting the nomination, to the Biomaterials Science Editorial Office by 29th January 2016. Self-nomination is not permitted. 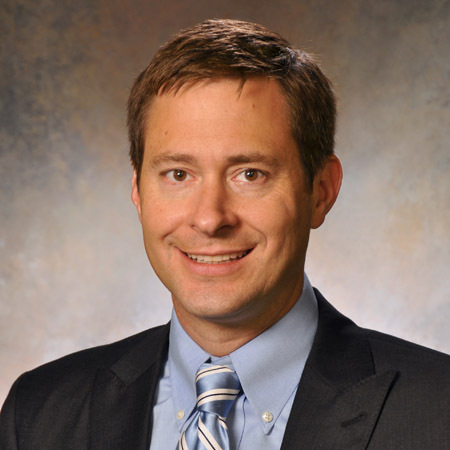 We are delighted to announce Associate Professor Joel Collier (University of Chicago) as the 2015 Biomaterials Science Lectureship winner. Joel H. Collier, PhD is an Associate Professor at the University of Chicago. His primary appointment is in the Department of Surgery, with appointments on the Committee on Immunology, the Committee on Molecular Medicine, and the Graduate Program in Biophysical Sciences. He is a Fellow of the Institute for Molecular Engineering. His research focuses on designing novel biomolecular materials for applications within immunotherapies, three-dimensional cell culture systems, and strategies for tissue repair. He received his undergraduate degree in Materials Science from Rice University and his PhD in Biomedical Engineering from Northwestern University. He has won several awards, including the 2012 Distinguished Junior Investigator in the University of Chicago’s Biological Sciences Division. Keep your eyes peeled for Joel’s upcoming Biomaterials Science article in honour of the Lectureship award. Please join us in congratulating Joel in his fantastic achievements by adding your comments below. Do you know someone who deserves recognition for their contribution to the biomaterials field? Now is your chance to propose they receive the accolade they deserve. Biomaterials Science is pleased to announce that nominations are now being accepted for its Biomaterials Science Lectureship 2015. This annual award was established in 2014 to honour an early-stage career scientist who has made a significant contribution to the biomaterials field. Suzie Pun was the winner of the 2014 Biomaterials Science Lectureship. Suzie is part of the Department of Bioengineering at the University of Washington. To be eligible for the Biomaterials Science Lectureship, the candidate should be in the earlier stages of their scientific career, typically within 15 years of attaining their doctorate or equivalent degree, and will have made a significant contribution to the field. The award recipient will be presented with the award at one of the three award lectures. They will also be asked to contribute a lead article to the journal and will have their work showcased on the back cover of the issue in which their article is published. Those wishing to make a nomination should send details of the nominee, including a brief C.V. (no longer than 2 pages A4) together with a letter (no longer than 2 pages A4) supporting the nomination, to the Biomaterials Science Editorial Office by 6th March 2015. Self-nomination is not permitted. You are currently browsing the archives for the Lectureship category.